Each week my blogger friends get together and feature Gourmet magazines 50 women game changers. This week it is Ree Drummond. Unless you just crawled out from under a rock, she is the writer, photographer, blogger extraordinaire of the wildly popular website The Pioneer Woman. Among other things, she is a cookbook author, mother, food celebrity and all around awesome lady. She lives on a ranch in Oklahoma with her husband Marlboro man, children and a menagerie of animals. She blogs about her experiences and we lap it up, like a kitten drinking a bowl of cream. I love her Spicy Lemon Garlic Shrimp. That is what I will share with you today. 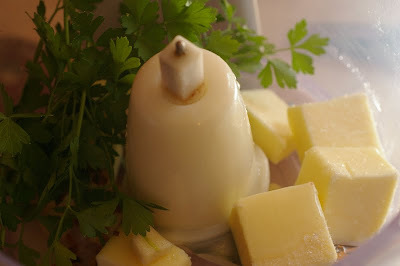 In the bowl of a food processor, add cold butter, garlic, lemon juice, salt, parsley, and red pepper. 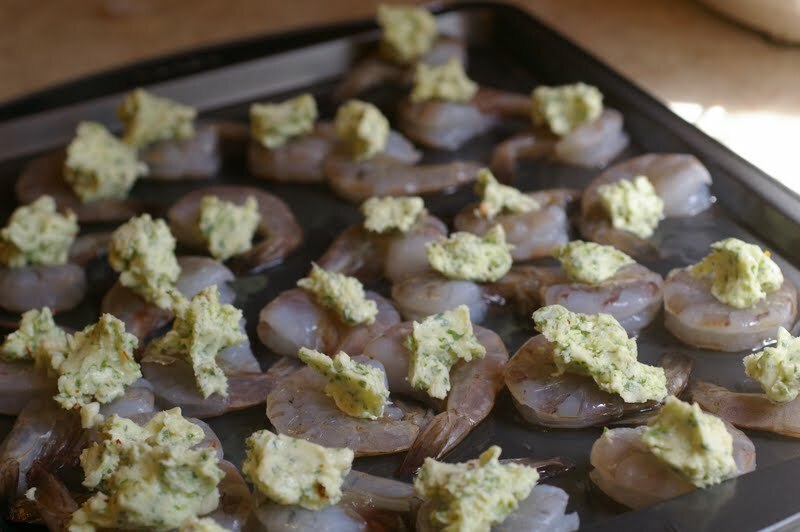 Sprinkle cold butter crumbles over the shrimp. 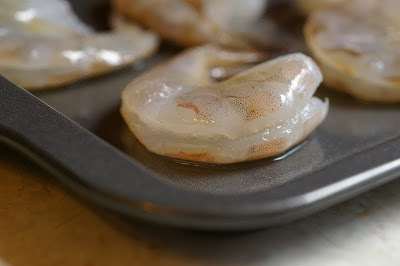 Bake in the oven for about 25 minutes or until your shrimp is pink. Here are more bloggers that feature the recipes of Ree Drummond today. I hope you get a chance to visit them. You chose a winner, Veronica! All that lovely garlic butter would be delicious! I’m thinking the juices in the bottom of the pan would be my favorite part, too. Piling the shrimp and the juices on bruschetta sounds heavenly, actually. Very tasty choice. You had me at the flavored butter and crusty bread. Great choice, and welcome to the group! MMM! What an easy and perfect way to cook shrimp! I love that Ree says she unabashedly uses frozen and convenience foods, as she shops in bulk only a few times a month. This is one way for her family to have a break from the local beef! You’ve done her proud, Veronica! I would totally gobble this up! Love the lemon and garlic on the shrimp, they go well with them! The shrimp dish look yummy. 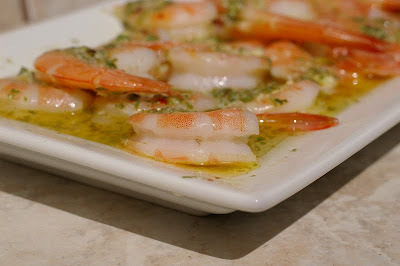 I’m a huge scampi fan anyhow so this is right up my alley (especially with the addition of crusty bread!). Your dish looks wonderful–I love Pioneer Woman and her wacky sense of humor! Great recipe. Yep, Ree is a game changer, the first celebrity food blogger! What a great shrimp recipe! I don’t always like shrimp, but this one looks amazing! This is the perfect dish for gighloghting the Pioneer Woman herself. Welcome to Mary’s group!!!!! You can never go wrong with lemon and garlic on shrimp! This looks fantastic! I love shrimp. Great recipe. I am a HUGE shrimp fan (now that’s an oxy moron!) and I think I could live on it! What a great recipe! Thank you! This is absolutly delicious! I make something very similar with pasta and it’s really gets high ratings. Great choice! What a FUN series to do! I love it…and the shrimp looks delicious! I am a fan of Ree’s but my claim to fame is that I know Mikey, her brother. He is a sweetheart. Her cinnamon roll recipe is my fave. The Pioneer Woman’s Petite Vanilla Bean Scone recpe on her blog makes THE best scones I have ever put into my mouth. EVER! Looks great – thanks for sharing. OMG crusty bread with those pan juices makes me drool! Oh wow this looks good! 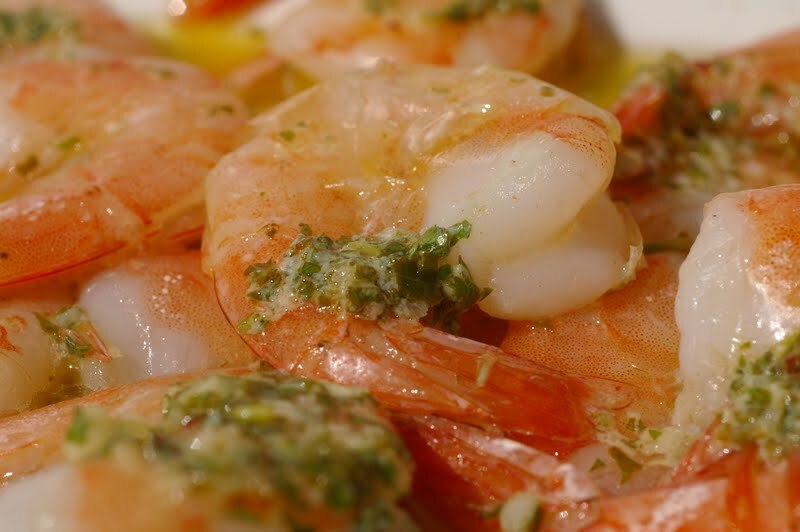 Shrimp, garlic… oh my… excuse me while I drool.